Due to the incredible rise of internet adoption we find plenty of treasures discovered online and this is no exception. 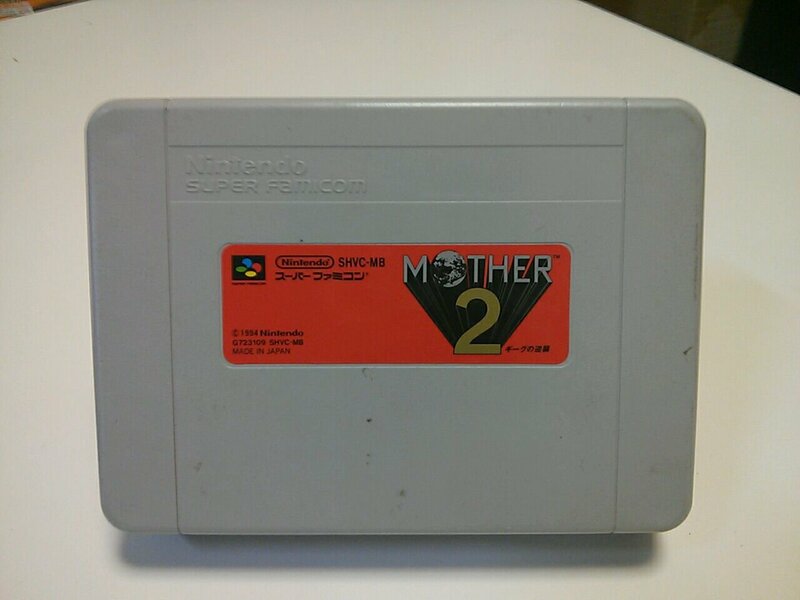 Recently a Twitter user came across a very unusual Mother 2 cartridge for the Super Nintendo that looks different from the retail version Japanese gamers are accustomed to. It’s apparently a legitimate copy of the game which has led to speculation regarding the actual contents on the cartridge. Some people are assuming that it could be a competition or a demo cartridge. In fact the person that owns it published the photograph online to find out a bit more about this rare find. Totally gonna be the start of another creepy pasta. My first thought as well. Especially considering it’s Earthbound we’re talking about. Mother 4 release date when? Actually, they said they were aiming for a Holiday 2015 release after that delay. It doesn’t seem they’re going to make it, though. No they said they weren’t going to promise any more release dates until the game is ready to have one. Strange, I remember them saying that the game would probably be released among those days. I may be mixing it up with AM2R, because what you say also rings a bell. I’m not familiar with this cartridge. I collect Famicom but I’ve never seen this one honestly. Most SFC carts look exactly the same. It could definitely be some sort of promotion copy or a demo/store version. It does not look like a developers cart however. Weird.